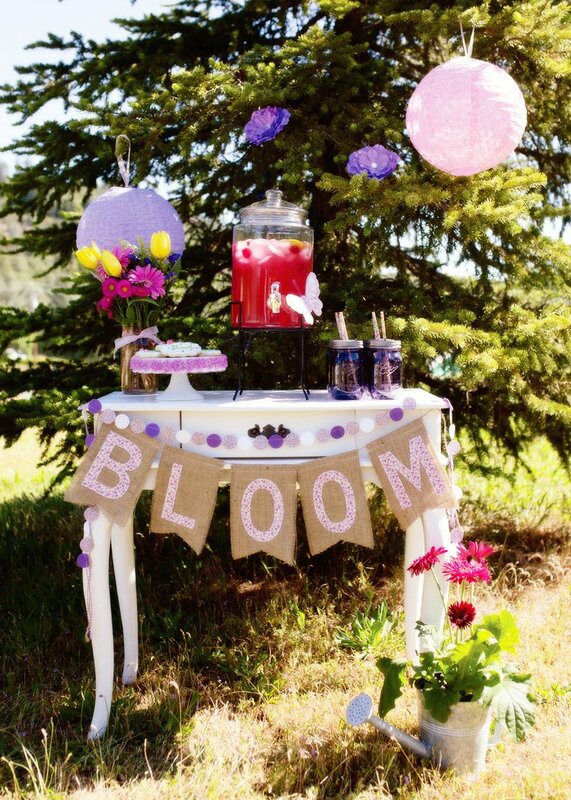 I have always wanted to host a garden party for my dearest mommy friends and their lovely daughters! Now that we have moved to this wonderful ranch, I thought this year would be the perfect! 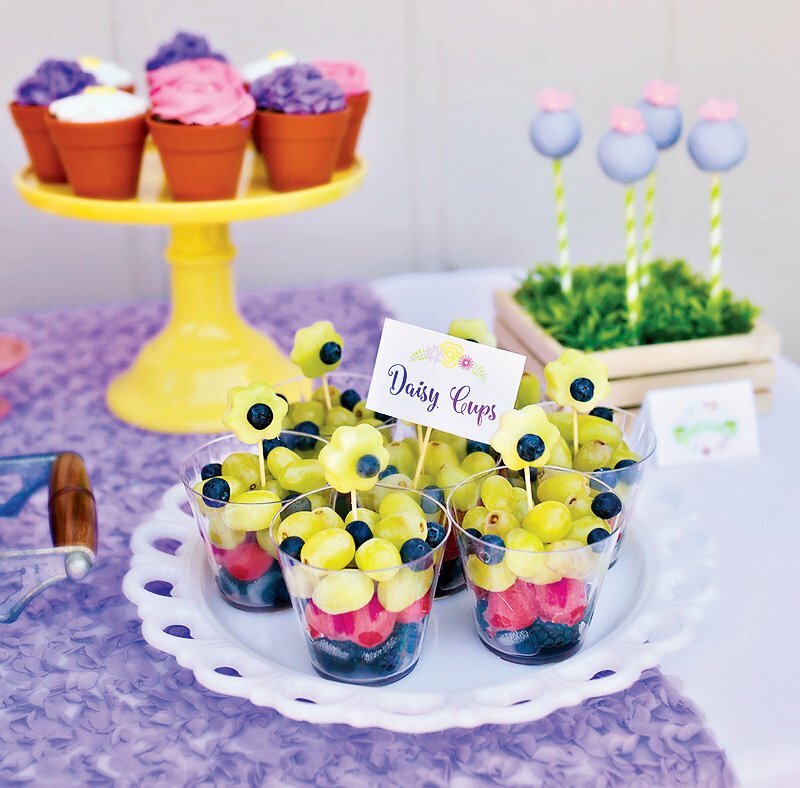 What’s a garden party without some adorable garden themed snacks and desserts? 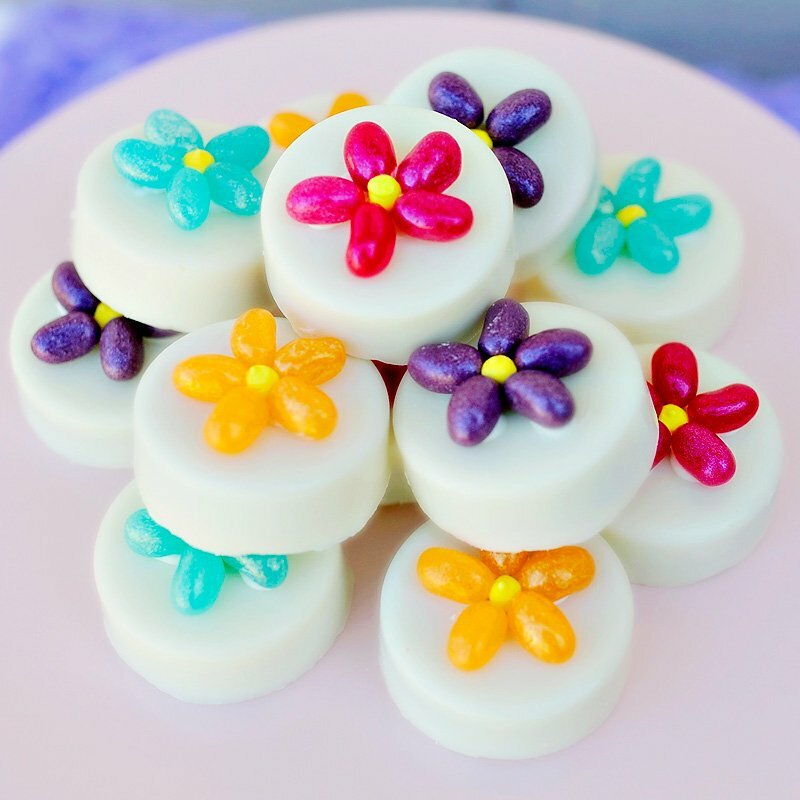 I served an array of adorable tea-like snacks as well as some delectable desserts like Flower Pops, Flower Cupcakes, Rose Cookies, Jelly Belly Flowers and white chocolate covered Oreos decorated with the Jelly Belly Jewel Beans to look like daisies! 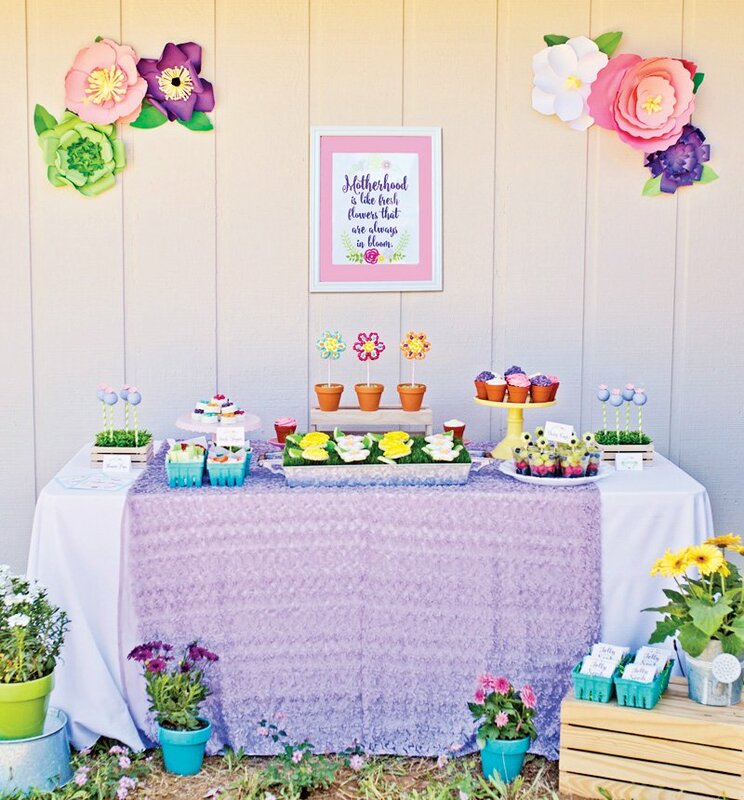 I styled the dessert table with the garden theme as well and used potted plants, paper flowers, feux grass, galvanized containers, wateringcans and wooden crates. 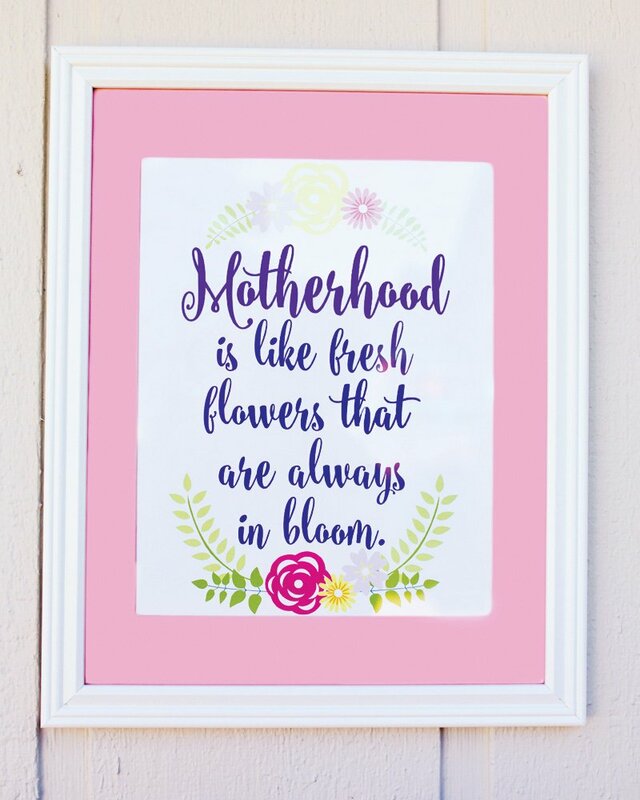 To bring it all together I had a beautiful subway print made for the backdrop that said, “Motherhood is like fresh flowers that are always in bloom“. 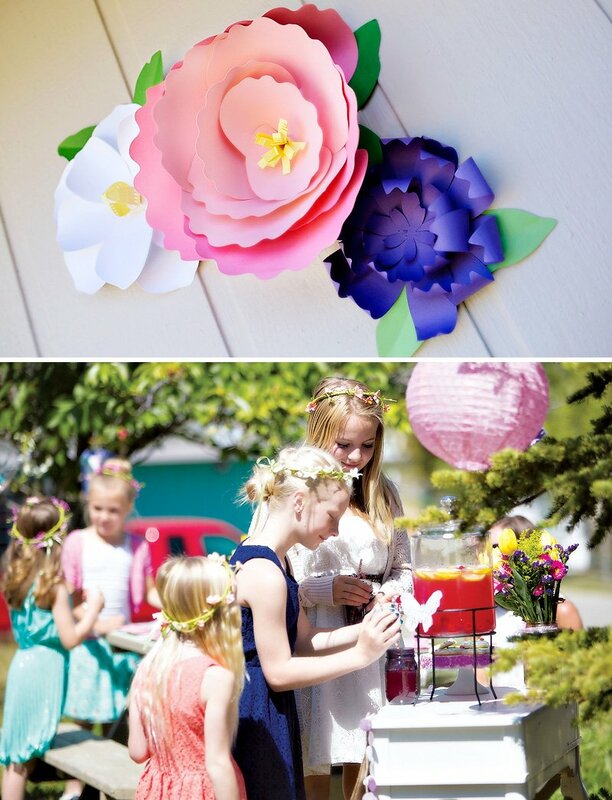 I thought it would be fun for the mommies and daughters to do a craft together. 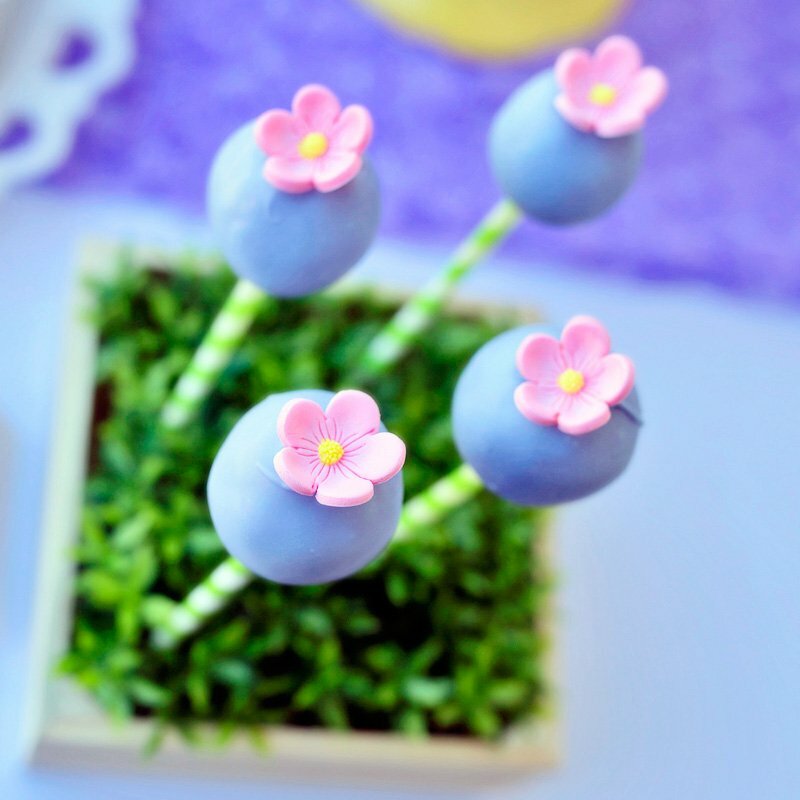 Being the baker that I am, I instantly thought Cookie Pops! Then I thought, Jelly Belly Beans!!!! 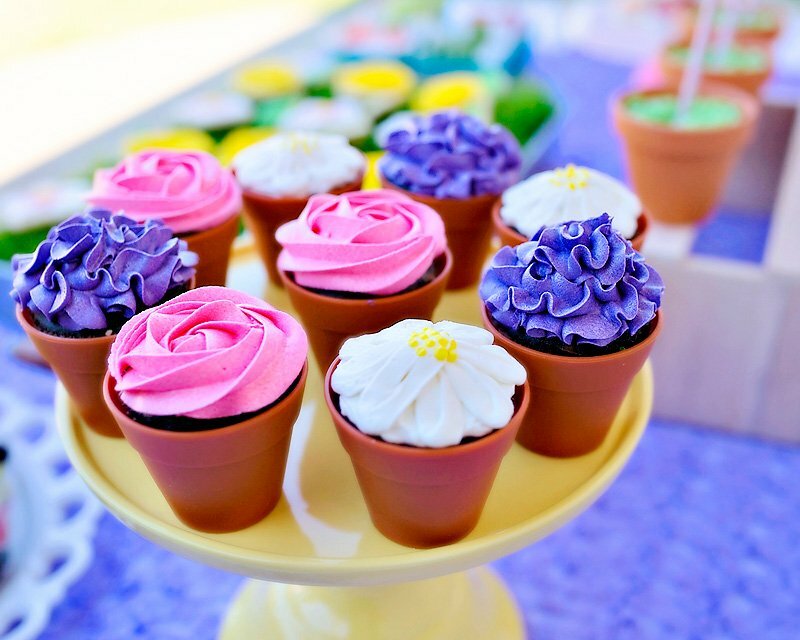 How cute would it be to use them to decorate Flower Cookies? Well let me tell you, they were ADORABLE! 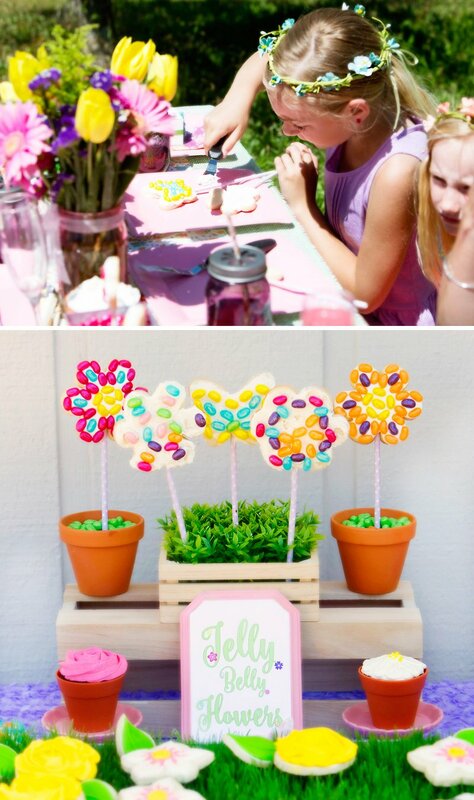 Not only did the kids have fun making them, they LOVED eating them! 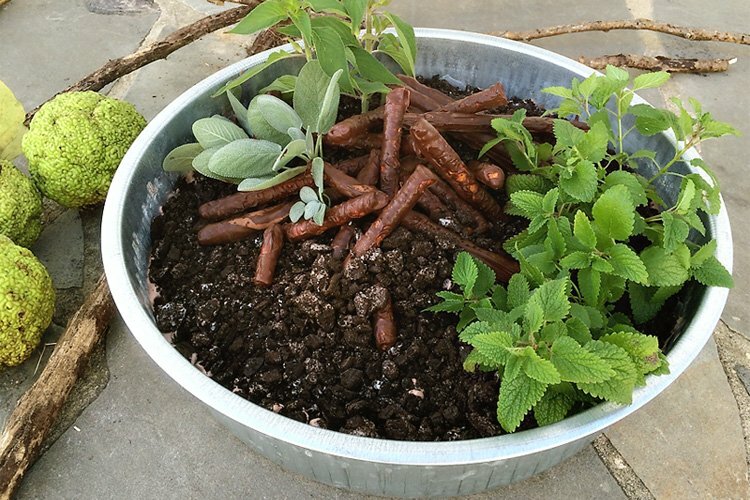 (See the full tutorial here.) I pre-baked all the cookie pops using my Sugar Cookie Recipe and set out 6 different colors/flavors of Jelly Belly Jewel Beans. First they frosted the cookies with a stiff royal icing (get that recipe here) and then they decorated their hearts out! 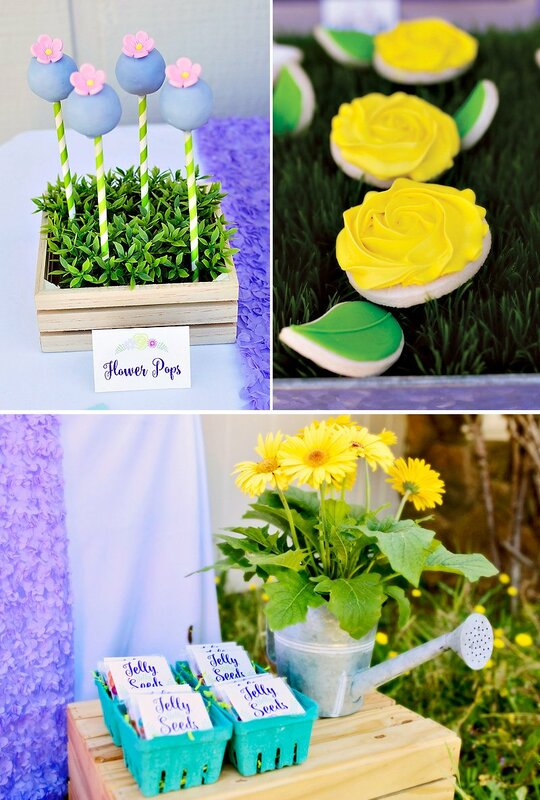 When it came to the beautiful table scape and gifts I pulled out all the stops! 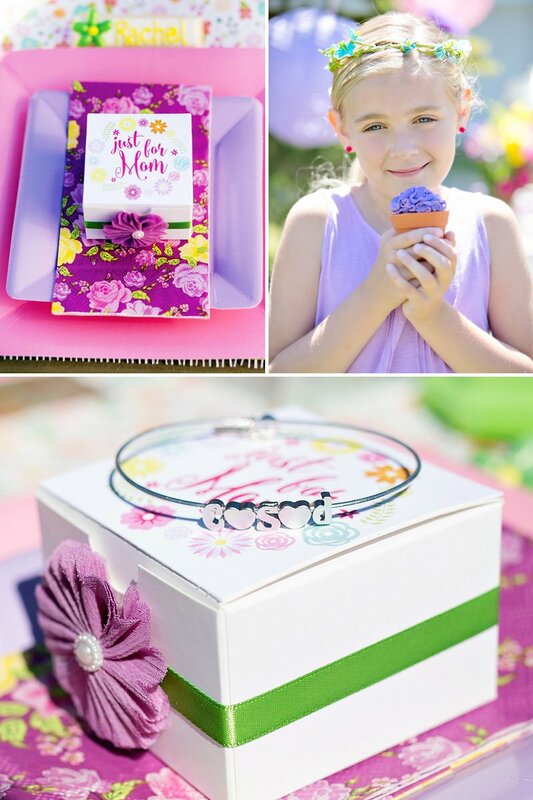 Each mommy received a beautiful box with a customized bracelet in it. Each bracelet was adorned with letter charms representing each child. 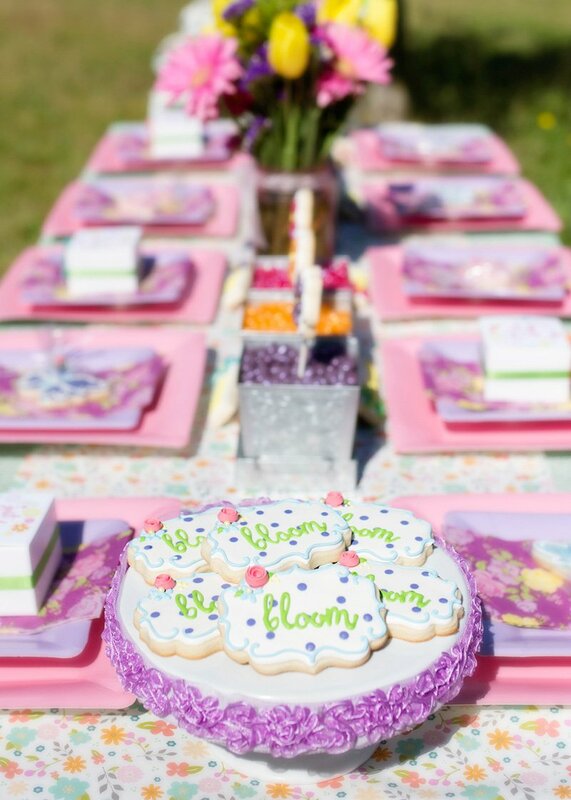 Each place setting had a customized Cookie with a sweet Jelly Belly flower on it and the girls took home lovely hand decorated butterfly cookies. There were 3 tables total at this party (I have a tendency to go a little overboard!! LOL!) The third table was our drink table. 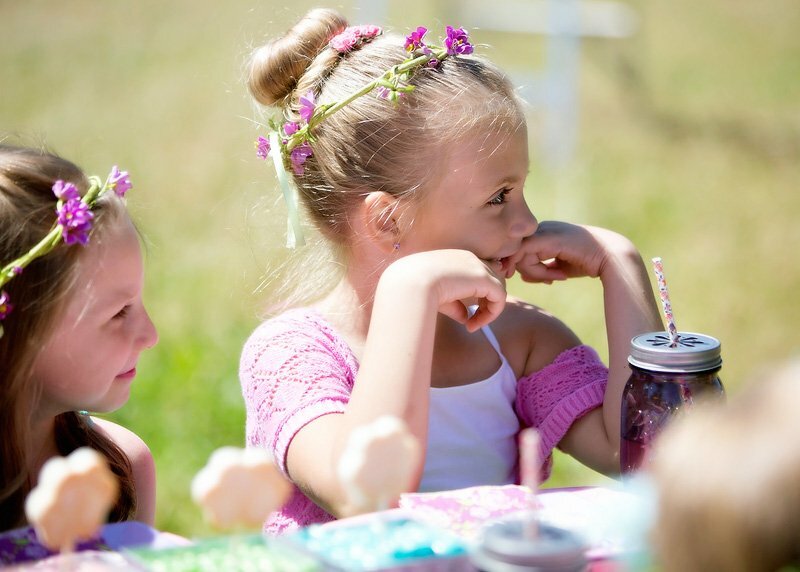 The kiddos sipped on fresh raspberry lemonade and the mommies sipped champagne, of course! 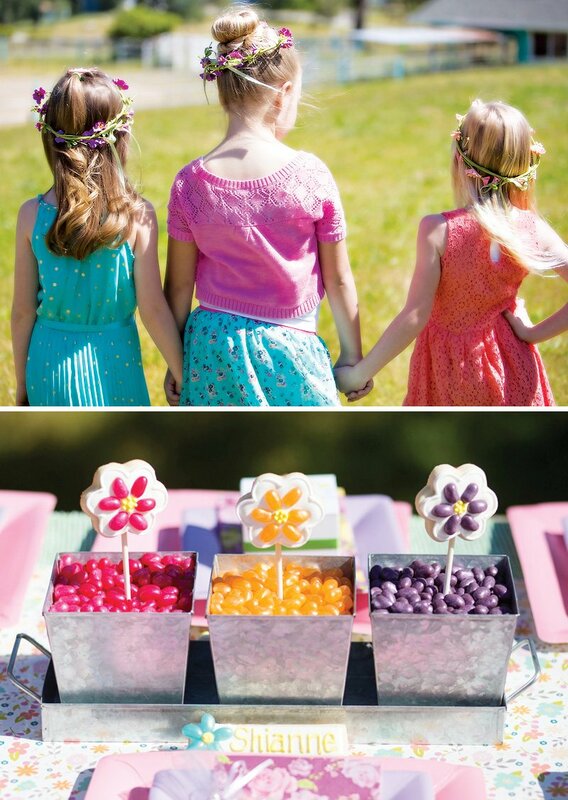 Other sweet aspects of this party were simple beautiful touches like floral crowns for the guests, Jelly Belly “Seed” favors and sweet printed table signs. 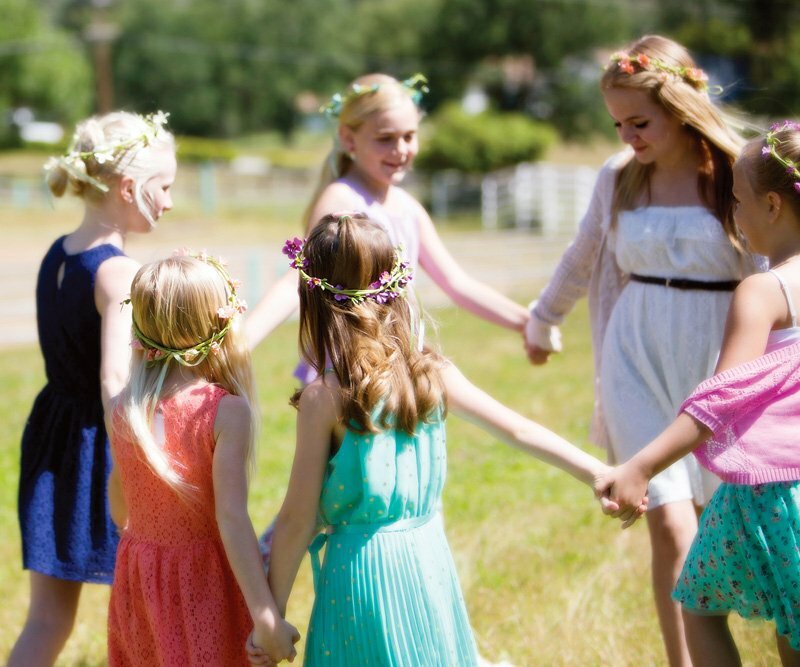 The mommies and daughters had a delightful afternoon enjoying the sun and blooming together. P.S. 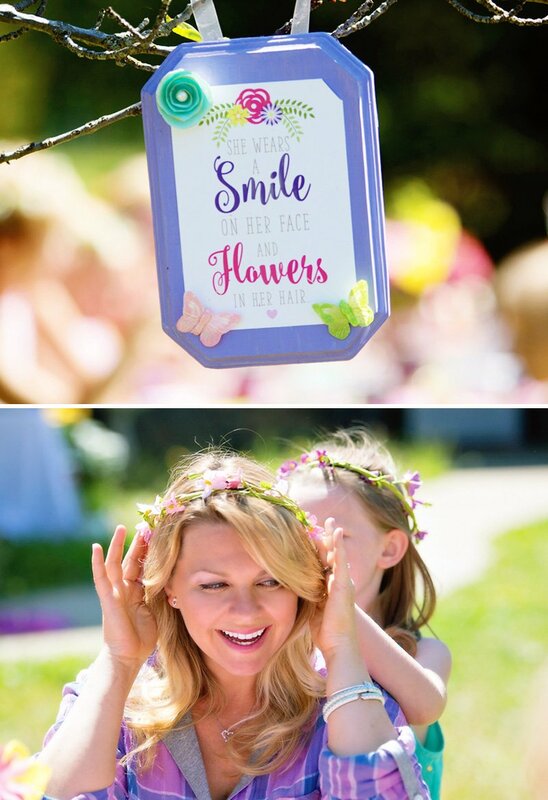 Love the Printed Goods by Modern Moments Designs? Download them all FREE here! So adorable – well done!